You may pre-order the Pedion "ULTRA" 6'x4' Battlefield Set. Find more info on the project and the Reward at our Kickstarter page; Due to amount of pre-orders please estimate a 6-month (and more) delivery time. 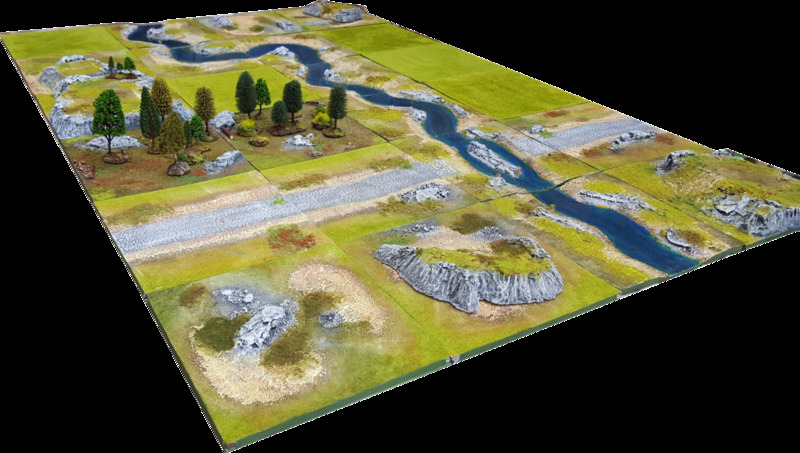 The ultimate wargaming board, full of features, either for 6'x4' epic battles or for multiple smaller configurations. For most miniature wargames (eg Kings of War, Warhammer, Warhammer 40K).